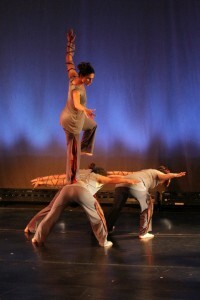 In Web we weave, four dancers share work they collaboratively created with Smith. By following the instincts of the choreographer and the dancers’ own somatic responses to given structures and guided contact, this approach to dance-making allowed the wisdom of the body to serve as guide. What unfolded was the tangled web we weave for ourselves in our lives.